I have my yarn… What about you?? 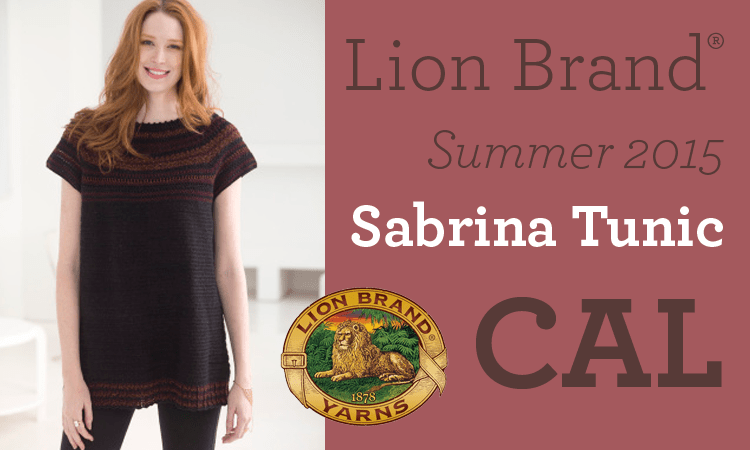 I will be posting weekly Tips, Insight and Much More on the Lion Brand Blog as we crochet the Sabrina Tunic over a 5 week time-frame… I will also be answering questions each week after the post as well as the Ravelry Group.. So get your yarn and lets Crochet Together!!! For the details and the Free Pattern Click Here!! Are you ready for a fun Crochet Along?? I have been keeping a secret!!! Are you ready?? 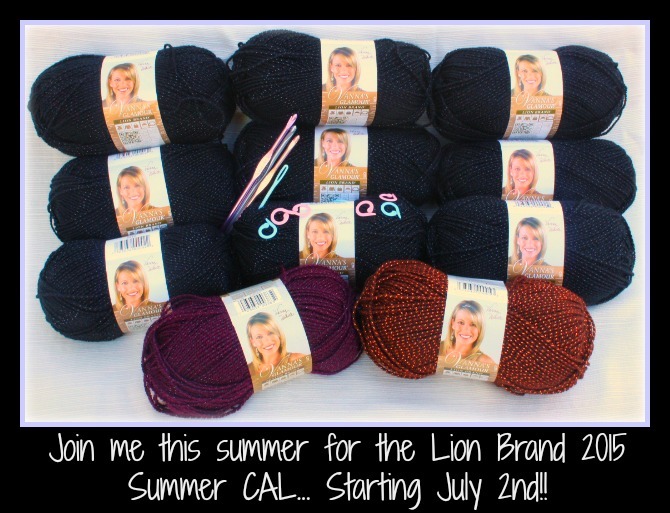 Lion Brand Yarn has asked me (wow… double wow) to host a very special Crochet Along for them over on their website… And best of all… YOU GET TO JOIN ME!!!! 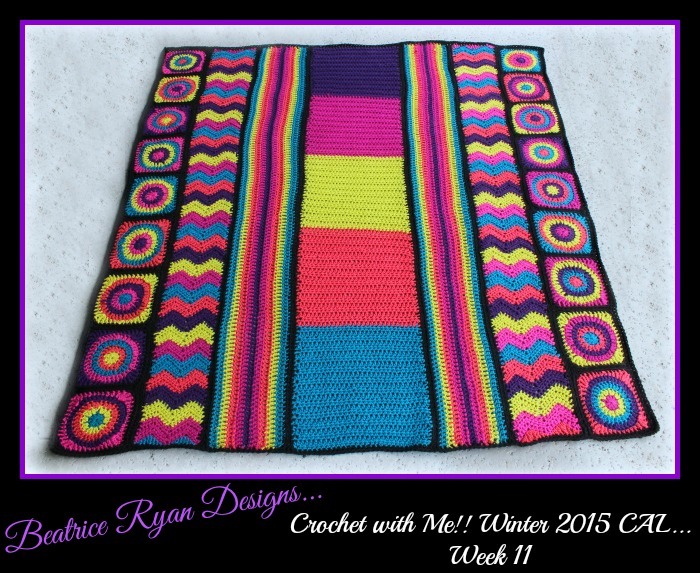 It’s time to head to the finish line and Crochet with Me!!! Winter 2015 CAL.. Week 11!! This week we are putting it all together and beginning our prep for the edging for our Retro Style Crochet Afghan!!! This has been such a fun project, I hope you have loved it!! Only one more week and you will have a completed project.. I also have been working with Red Heart Unforgettable Yarn for a different look by its Self Striping pattern… You probably have noticed I haven’t posted a picture last week or this week… Well, Just like all of you,,, Life has happened! A few weeks ago I was offered a really great job as an Administrative Assistant for a local forest products company… I started a couple of weeks ago and… Yikes~a huge learning curve and long hours!!! I will be catching up on the second afghan in the next couple weeks and will post that picture too!!! Are you ready to put your afghan together?? Let’s get to work! First: You will join all of your strips together using the same method as you did with the Granny Strip! Use my picture above for placement or.. If you want to switch it up that is great too!! Join your neutral yarn in the corner stitch of the top left of your afghan. Ch 1, 3 Sc in the same St (1st corner made), Working down the 1st side, Sc 143 sts to the next corner, Sc 3 Sts in corner(2nd corner made), Working along the bottom edge – evenly Sc 131 Sts across to the next corner, 3 Sc in corner (3rd corner made), Working up the second side Sc 143 sts to the next corner, 3 Sc in corner (4th corner made), Working along the top – evenly Sc 131 Sts across. Join with Sl St to beginning Sc. = 560 Sc. Do not finish off… We will be continuing from here next week to finish our edging.. Happy Easter and God Bless You! !